What Drives Women To Carry Others' Babies? And yet, that's exactly what the hundreds of women who act as surrogates do every year in the U.S. and worldwide. Kristina Fabis is a labor and delivery nurse and two-time surrogate herself. She's also a mother of two and the Gestational Carrier Intake Coordinator for ConceiveAbilities, a surrogate mother and egg donor agency in Chicago. Fabis says that the majority of women who choose to be surrogates love pregnancy and genuinely want to give other families the miracle of a baby. "I’ve always loved being pregnant," explains Fabis. "Probably some of the best parts of my life have been being pregnant. I can do something so easily that some people can’t do and it makes a miracle." What about the financial incentives? There's no doubt about it — surrogacy is not a simple decision, and the vast complications, risks and enormity of a woman taking on the responsibility of carrying another couple's child is huge. Which is why it often comes with a pretty hefty price tag and some major financial incentives for the surrogate. 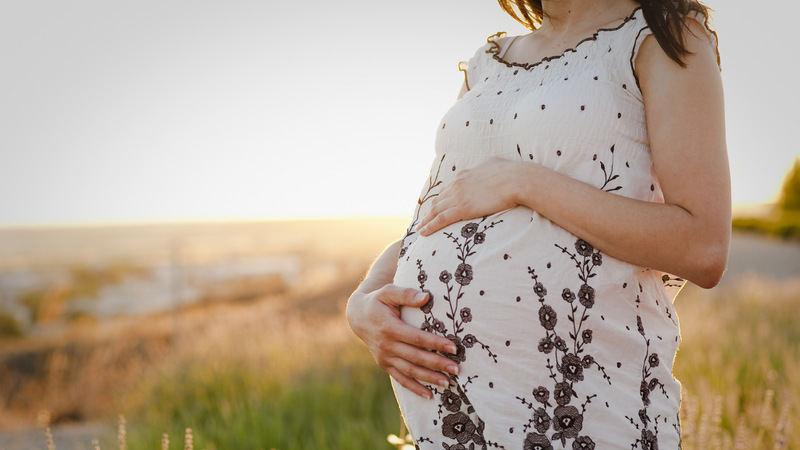 The ConceiveAbilities website explains that surrogate mothers receive financial compensation for lost wages, medical co-pays, maternity clothing, travel, medications and legal fees. And the starting base pay for a surrogate? A staggering $30,000. But Fabis is adamant that surrogacy is not about the money. "It’s not the driving force by any means," she says. "I would say that it [the cost] makes sense — I’ve seen a woman who had to have a hysterectomy, I’ve seen women who had to go through more interventions or had complications with parents. There’s no guarantee that I’m not going to lose my uterus or something is going to happen to me." Furthermore, Fabis states that their agency, and many surrogacy agencies, screen women who are in it for the money. "If they are financially motivated, that’s not the type of surrogate our agency is looking for," she says simply. Is it hard to part with the baby? Obviously, the women who give over their bodies to sustain another woman's body are compassionate and generous — but doesn't that make parting with the baby they have grown for nine months that much harder? "I thought it might be emotionally hard to separate from [the first baby], but it wasn’t," explains Fabis. "You spend the whole pregnancy knowing that it’s biologically not your child." She goes on to say that in talking to more than 100 surrogates, she has never encountered a woman having issues with the child she delivered. "It’s like carrying a niece for your sister; they have a special place in you’re your heart, but it doesn’t feel like it was something that was mine."